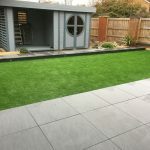 Garden Ezee Ltd is a main installer of artificial grass in Swindon. 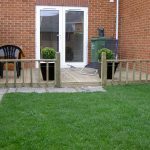 Garden Ezee installations are professionally fitted by our highly skilled team. Our artificial grass offers an affordable, natural lawn alternative for virtually any garden. In front gardens. Lush green lawns can enhance the look of your property. In back gardens. Hard wearing artificial grass is ideal for play areas or dog runs. 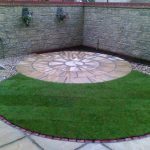 Artificial turf can also be used to compliment other features e.g. patios, decking and seating areas. Busy lifestyles – a ‘maintenance free’* garden to relax in. Perfect to enjoy after a long week. Budding sporting superstars – a safe haven for children to play in. Without turning the lawn into a quagmire! Dog owners – a clean environment for dogs and family. Unwanted smells can be hosed down. If need be, ’grass’ can be disinfected. Best of all – no more dirty paws brought indoors. Problem garden areas – a ‘forever green lawn’ easy to keep. UV stabilised. Rain, frost, snow or sunshine. – your lawn should always look perfect. We use quality artificial turf. This also comes with a product warranty as well as after care guidelines.